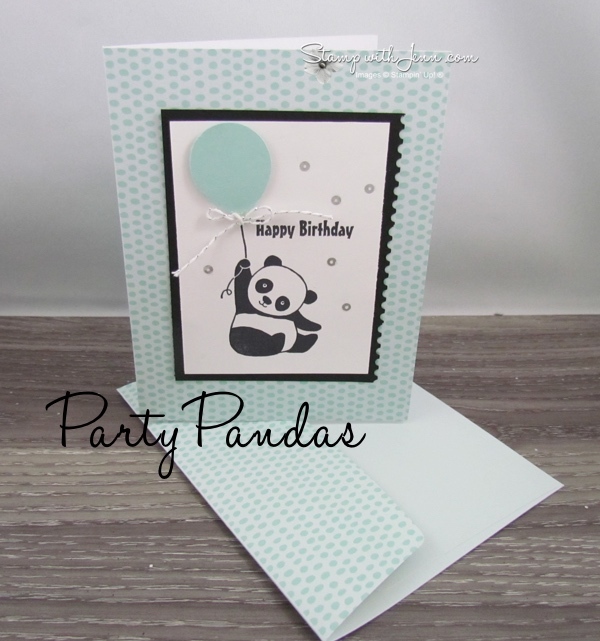 Party Pandas is one of the Sale-a-bration choices this year from Stampin’ Up! This adorable stamp set is one that you can get for free with a $60 order from January 3 to March 31st, 2018. 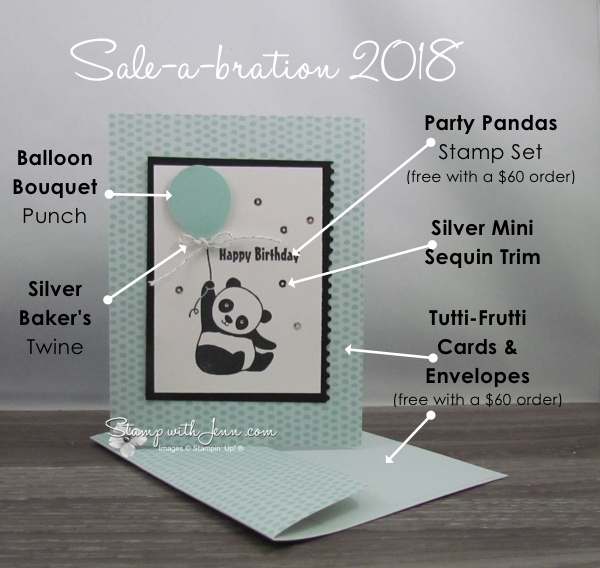 In addition to the Party Pandas stamp set, I used another Sale-a-bration item on this card…it is the Tutti-Frutti Cards and Envelopes. These cards are so adorable. They are pre-printed with designs and have matching envelopes. 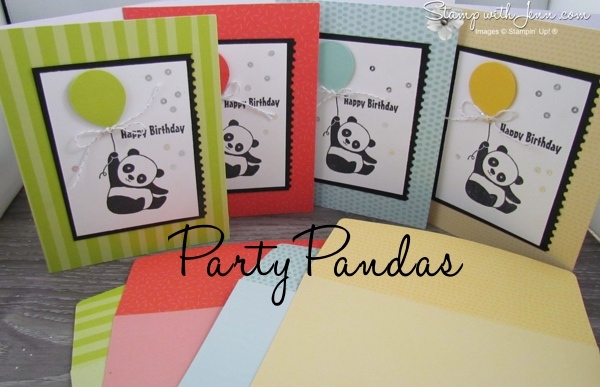 There are four different colours (as shown below) and four of each in the package (for a total of 16 cards and 16 envelopes). Check back here to www.stampwithjenn.com on January 3rd for the full catalogue.